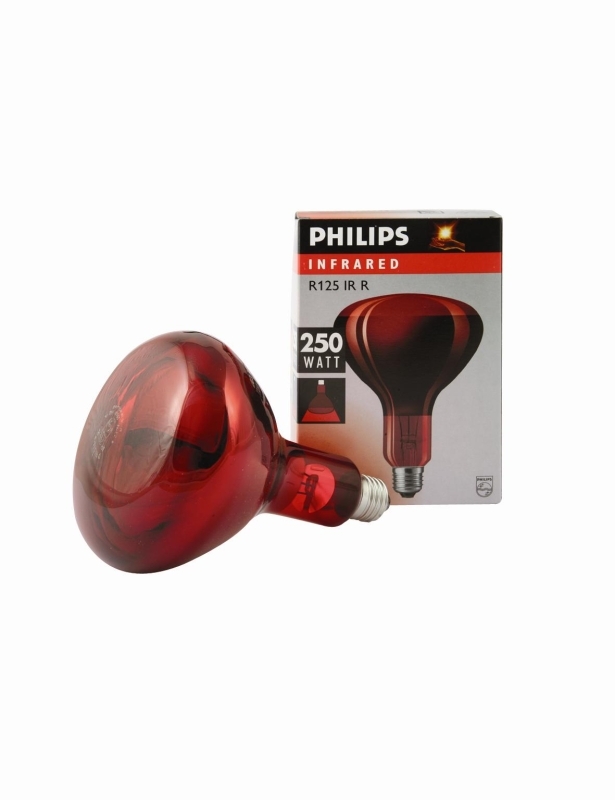 Infra Red Bulb, Thin glass. 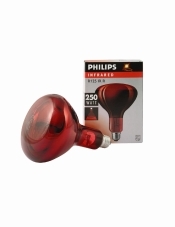 250w. (Ruby) gives off a warming red light. Animals also find it easier sleeping under ruby light than white light so ideal for young animals such as chicks, puppy's etc.